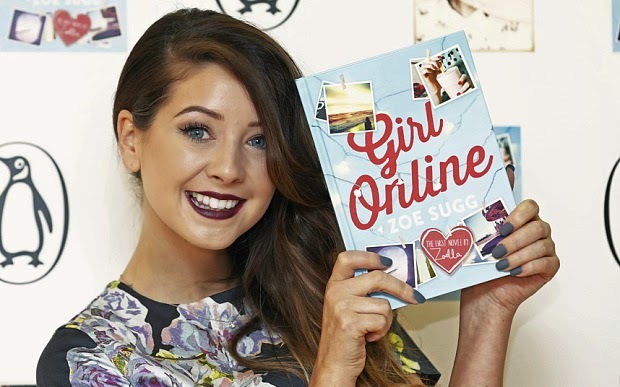 As you all probably know Zoella has launched her debut novel 'Girl Online' and I know I am very excited to read it. Zoe has always wanted to have a book published and I am over the moon for her now that she can finally say that she has done it. 'Girl Online' is about a teenage girl called Penny who blogs online about anything and everything relevant to her life. She and her family take a trip to New York and she meets the heart throb of the novel Noah who plays the guitar and has the most amazing American accent. She begins to fall in love and she decided to put that on to her blog too. The only problem is that Noah has his own secret and this secret could ruin Penny life! I happened to get two in the post and I have decided to run a giveaway seen as I don't really need two! All of the details on how to enter the giveaway will be below and it will be open internationally for two weeks so get entering! I love Sophie Kinsella's books! What a great giveaway! I really want to read her book! My favourite author is Cecelia Ahern, my favourite book is Ps I love you! I want this book so much, as I can't to buy this on my country.